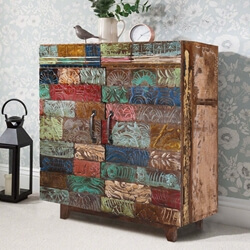 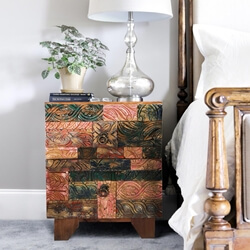 Colorful rustic solid wood furniture with intricate details and a relaxed rustic style can transform almost any room. 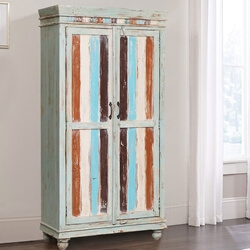 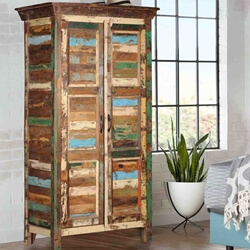 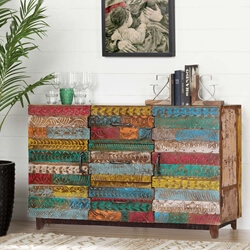 Our Rainbow Conch Carving Wooden Tile Reclaimed Wood Tall Storage Cabinet is a freestanding storage cabinet armoire that'll end all your storage woes along with adding a boost to your interiors. 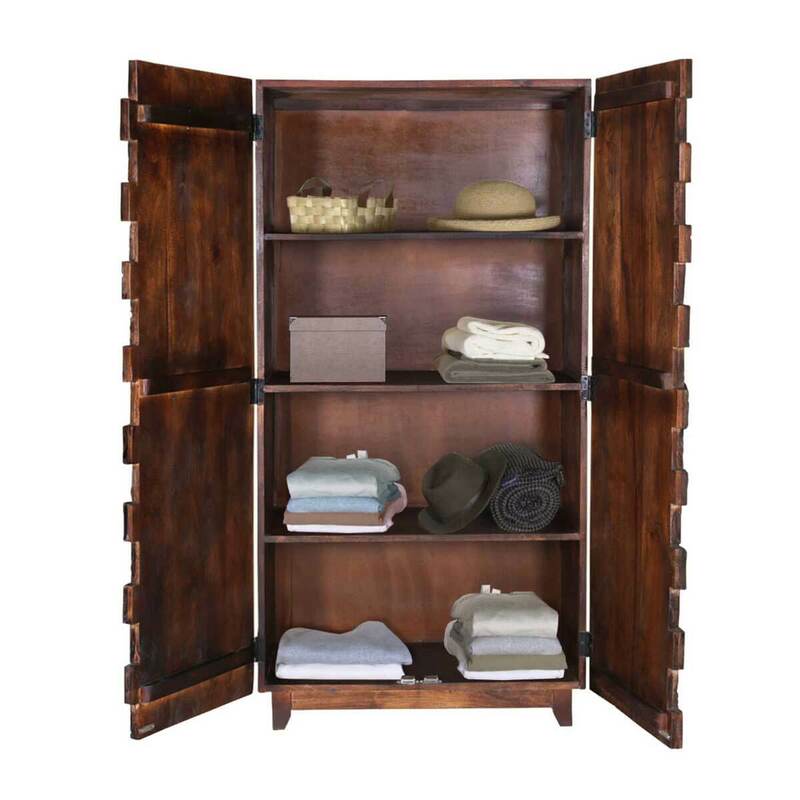 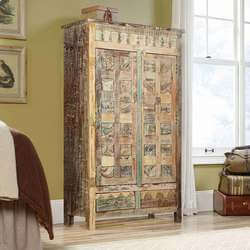 This double door tall cabinet armoire has a large 4-shelf storage area. 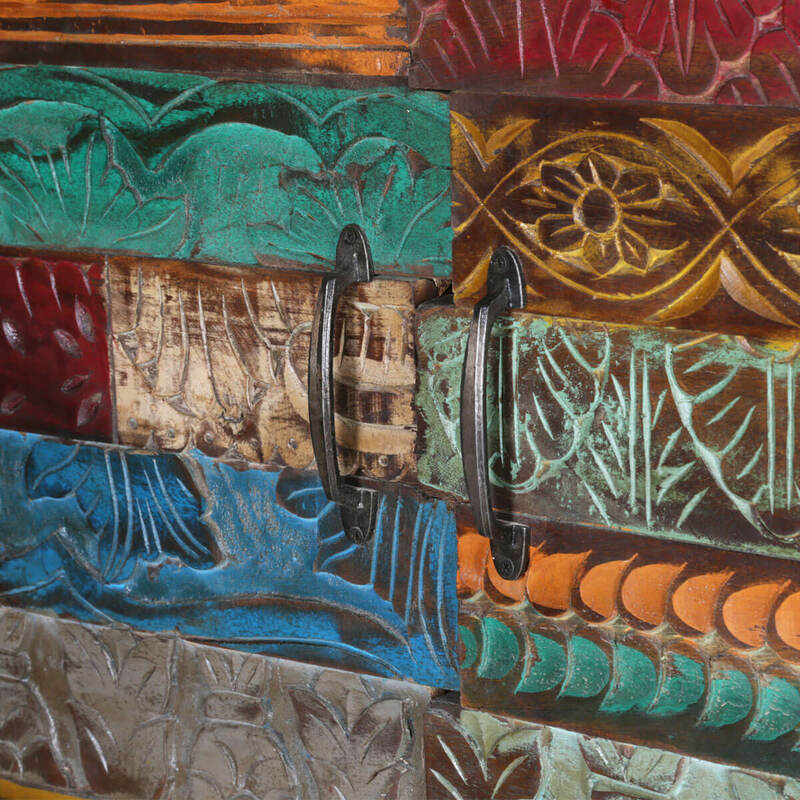 The doors are enhanced with hand-carved details painted in many colors. 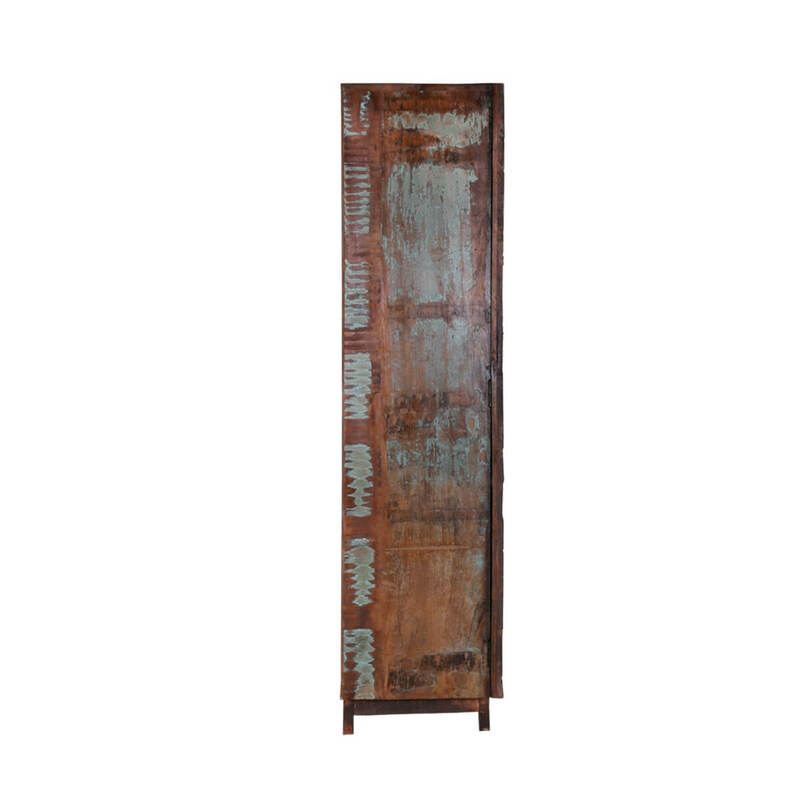 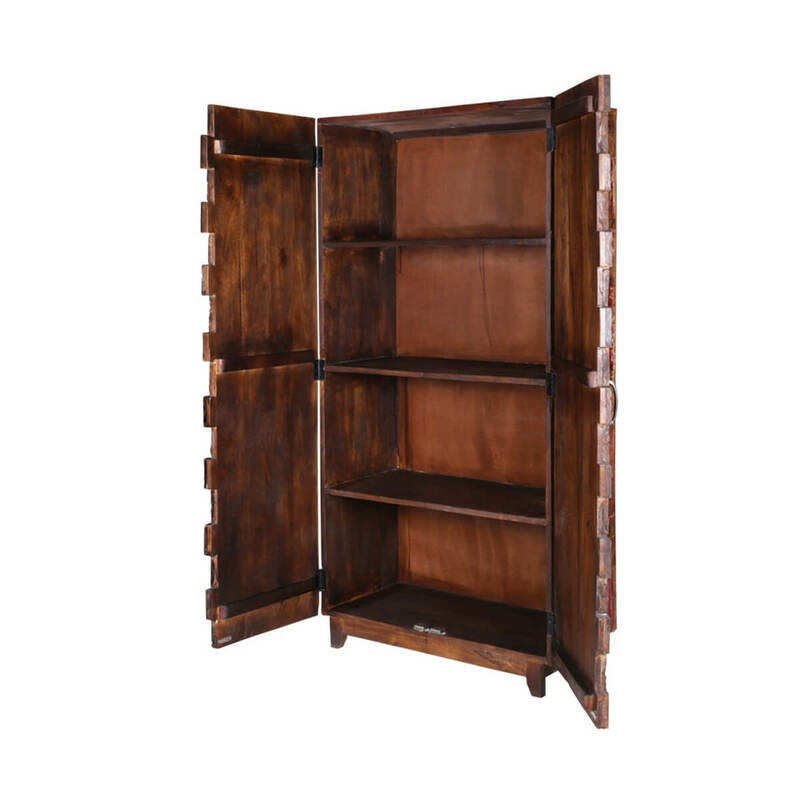 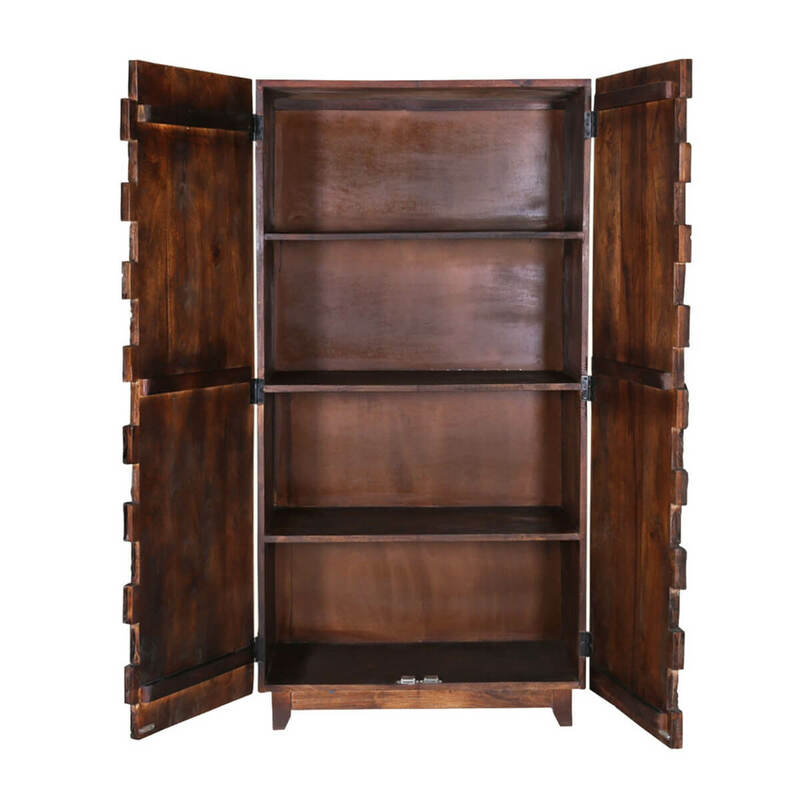 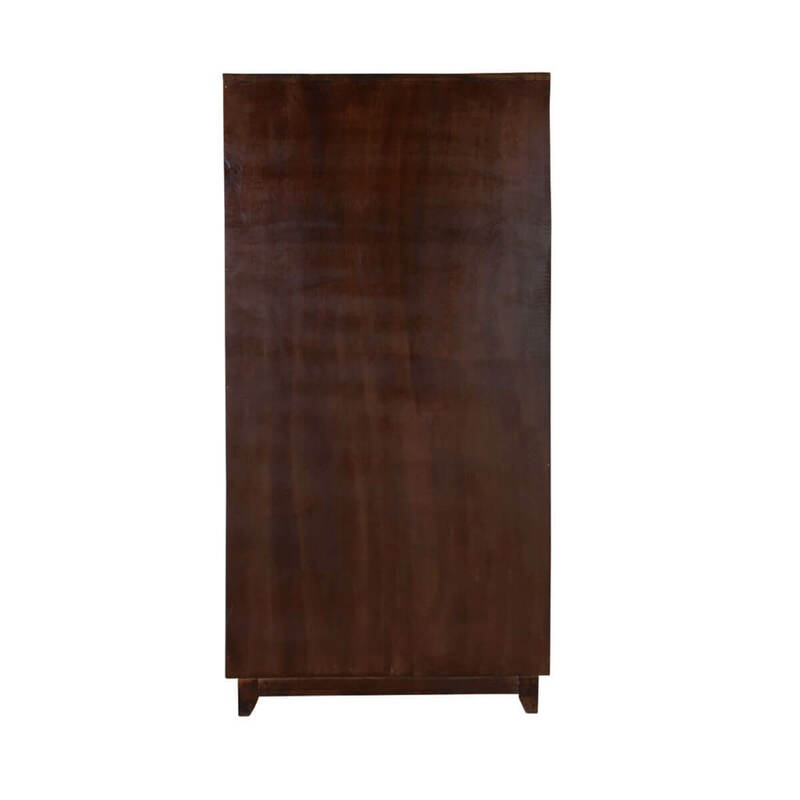 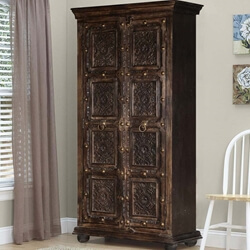 The tall cabinet stands on short legs and has a rustic finish on the sides. 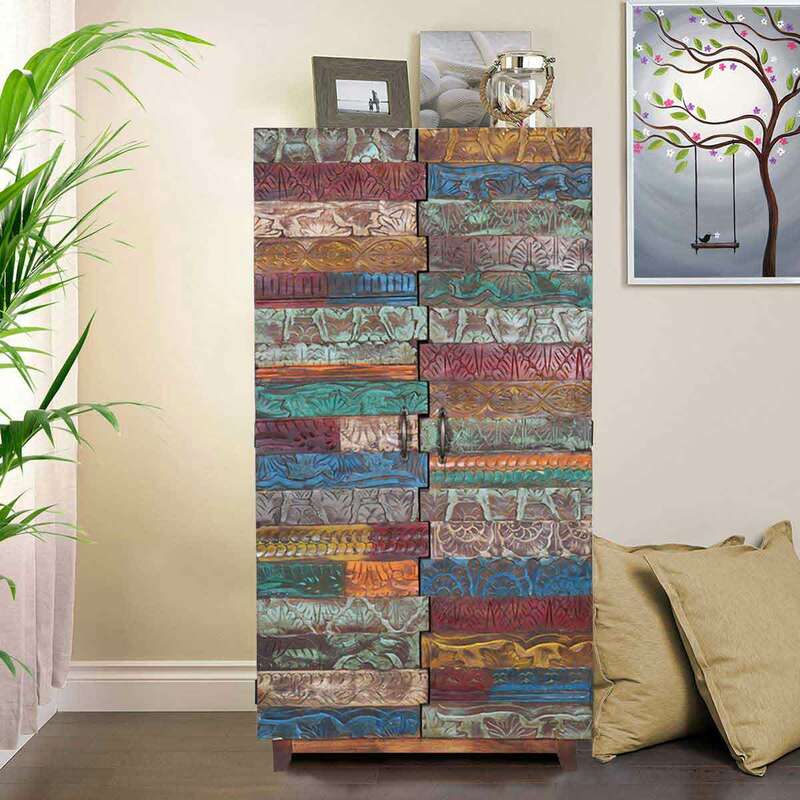 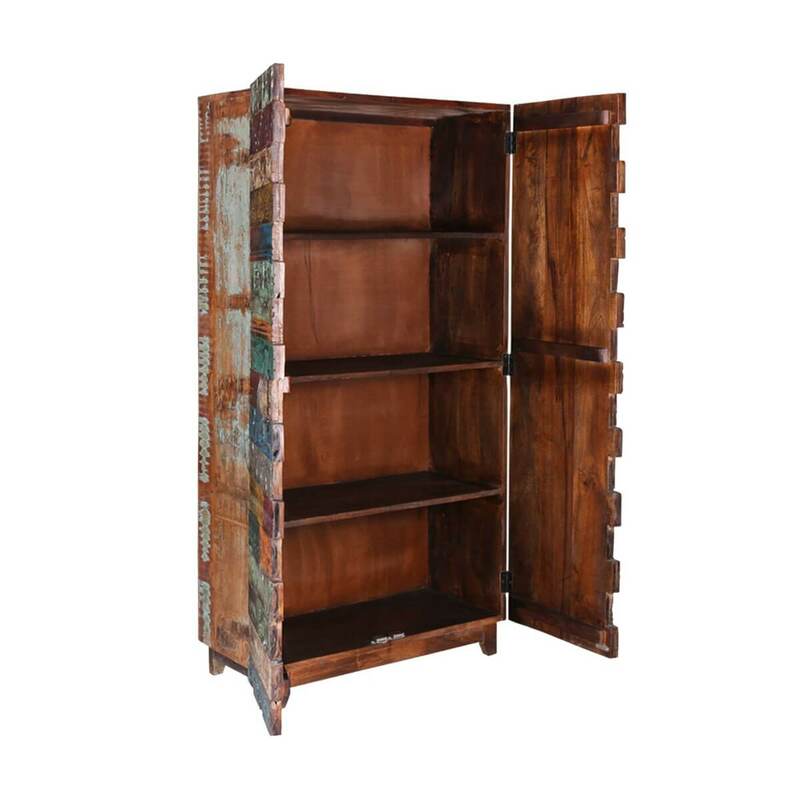 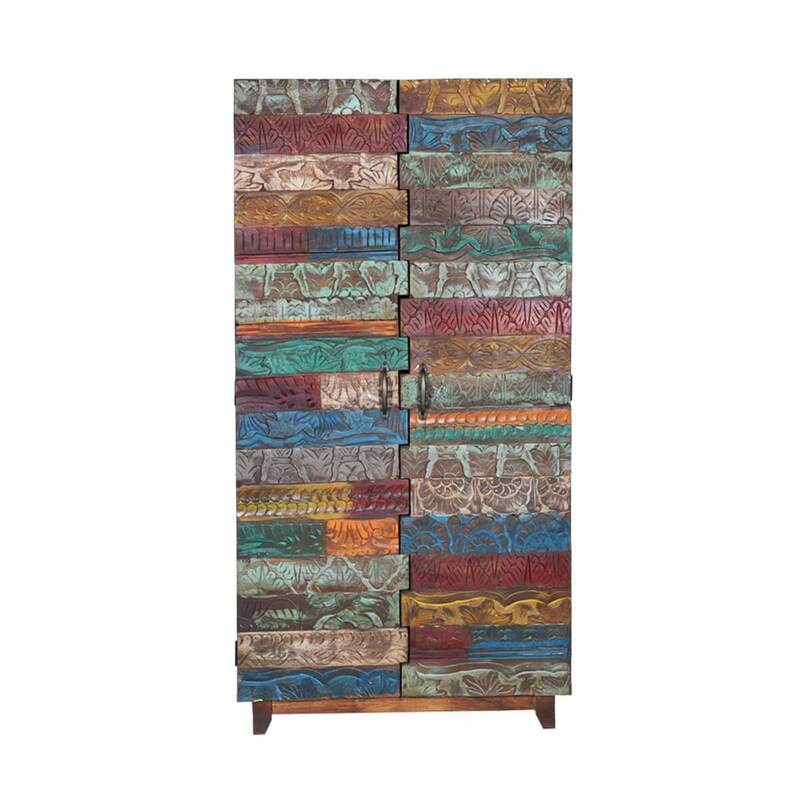 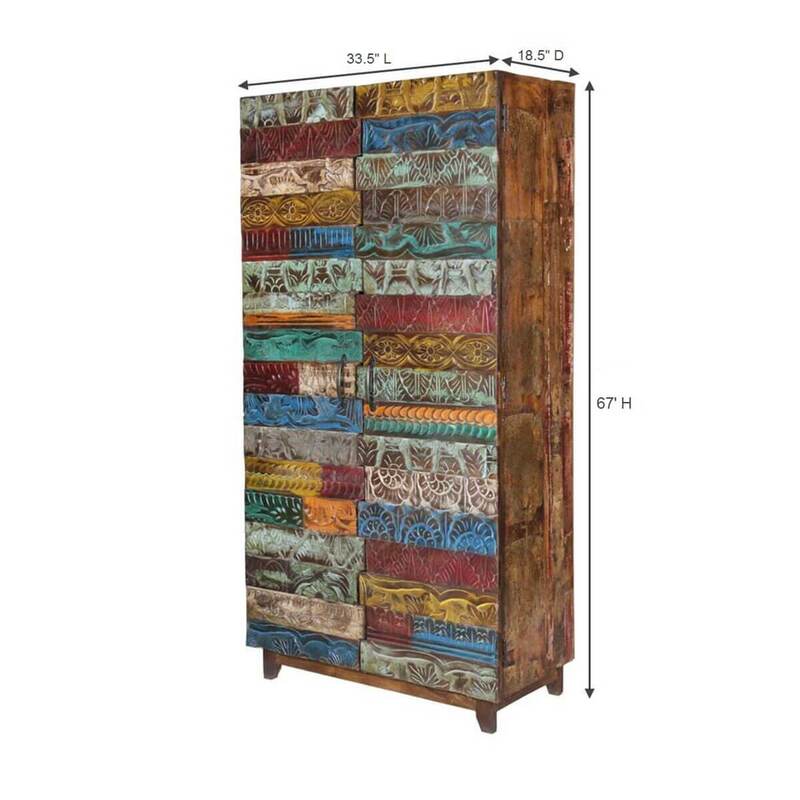 This multi-color storage cabinet is built with solid reclaimed wood that carries its own history.